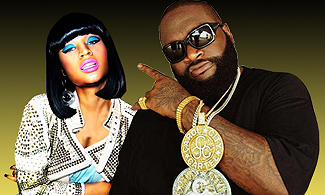 Posh Top 5 Love and Hip Hop Songs coming at #2 is the biggest boss MMG's own Rick Ross "You The Boss" featuring Nicki Minaj. Last week drama on VH1 Love and Hip Hop was crazy. I'm so looking forward to Monday's episode. Also, find out what song is #1 on Posh Top Love and Hip Hop songs. Check it out.